Worship is at the heart of all we do. Our ministries are a continuation of what happens during worship. Sunday Worship at 10:00 am - Casual Traditional. Casual dress. Special Services - Christmas Eve, Ash Wednesday, Maundy Thursday, Good Friday, Easter Sunrise. Sunday Disciple Classes for all adults. Morning Bible Study, Wednesday Mornings at 8:00 am (Yellow Rose Cafe). Pastors Bible Study, Thursday Nights, 7:00 pm (in Disciple classroom). 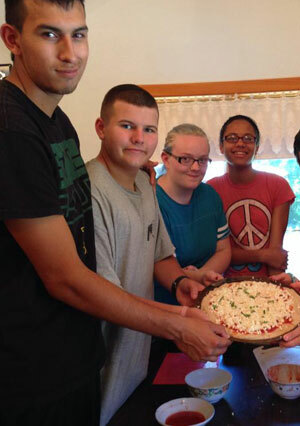 Singles & Seniors group - Games on Monday at 1:00 pm, field trips, Going out to eat, and more, Lots of fun! United Methodist Men -meet once a month at the Dairy Queen in Seven Points. United Methodist Women - meet once a month at the church. 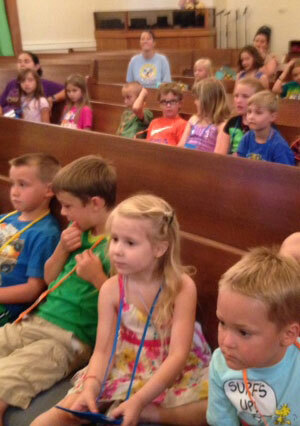 Guppies Class - Sunday 9:00 am, 3-6-year-olds - Learning about Jesus. Starfish Class - Sunday 9:00 am, 1st - 3rd grade - Leaning to shine for Jesus. Whales Class - Sunday 9:00 am, 4-6 grades, Learning to live like Jesus. Vacation Bible School each summer. Special events such as Easter Egg Hunt, Fall Festival, Children's Christmas Progam, and more. Nursery every Sunday morning, and special events as requested. *All employees and volunteers with children or youth must have a background check. Youth Bible Class - Sunday morning 9:00 am. Youth Fellowship - Wednesday 5:30 - 7:00 pm. Choir practice Wednesday 5:15 pm. Sing Anthems and other songs in Worship each Sunday. We seek to transform our community through outreach in Christ's name. There are many places where you can make a difference. You can help support the ministries of Cedar Creek Lake United Methodist Church by donating quickly and easily online.